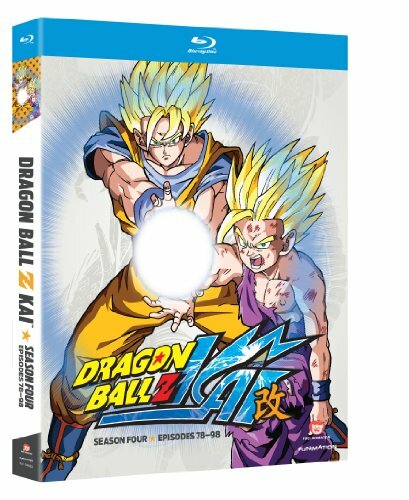 The Earth's Greatest Warriors are back in Dragon Ball Kai, an HD Remaster and Recut to commemorate the 20th Anniversary of author Akira Toriyama's hit anime Dragon Ball Z. Using Dragon Ball Z's footage, the series has been remade in high definition and recut, removing most traces of filler for the sake of a faster pacing, sticking closer to the original manga work. Taking place five years after the events of the original Dragon Ball series, Kai covers the later stories of Son Goku, Earth's Greatest Warrior. Having finally settled down and made a family of his own, Goku seems to be adjusting well to the times of peace. However, the peace is short-lived as an intergalactic visitor claiming to be Goku's brother makes a crash landing to the planet. With the fate of entire galaxies at hand, Goku and the rest of the warriors must reunite, confronting progressively stronger foes in the continuous fight between good and evil. If you have any questions about this product by FUNIMATION PRODUCTIONS LTD., contact us by completing and submitting the form below. If you are looking for a specif part number, please include it with your message.